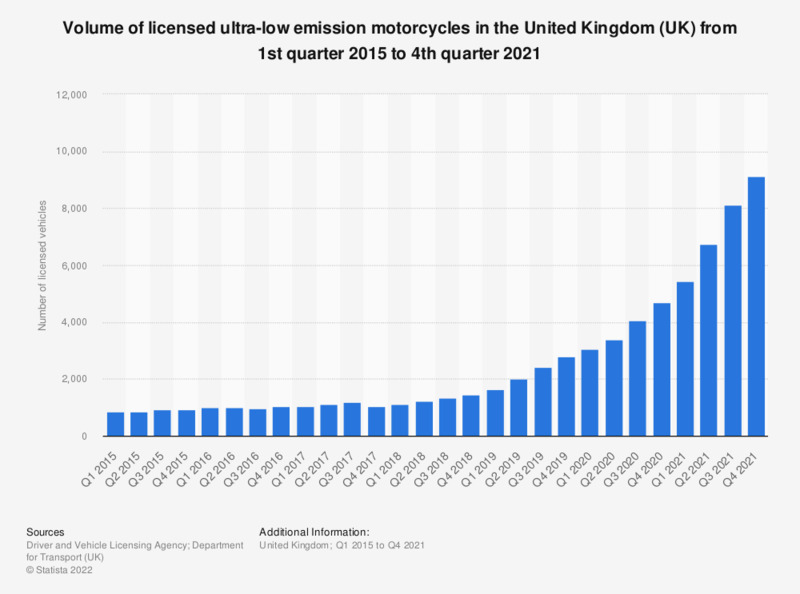 This statistic shows the change in the number of ultra-low-emission motorcycles and tricycles licensed in the United Kingdom (UK) between the first quarter of 2010 and the third quarter of 2018. The number of ultra-low emission motorcycles and tricycles licensed peaked during the second quarter of 2011, at 1,580. By the third quarter of 2018, 1,395 ultra-low emission motorcycles and tricycles were licensed in the United Kingdom.